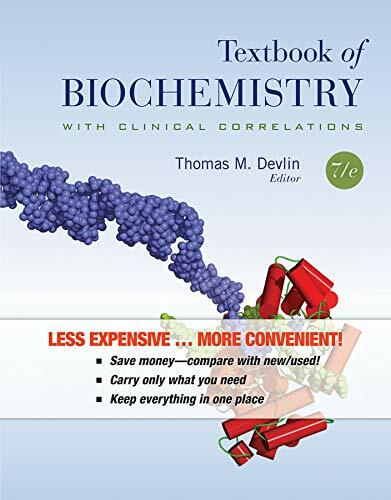 This book presents a clear and precise discussion of the biochemistry of eukaryotic cells, particularly those of mammalian tissues, relates biochemical events at a cellular level to the subsequent physiological processes in the whole animal, and cites examples of abnormal biochemical processes in human disease. The organization and content are tied together to provide students with the complete picture of biochemistry and how it relates to human diseases. Loaded with new material and chapters and brimming with detailed, full-color illustrations that clearly explain associated concepts, this seventh edition is an indispensable tool for students and professionals in the medical or health sciences. Thomas M. Devlin, Ph.D., Professor Emeritus, Drexel University School of Medicine.